60sh Translucent Silicone Rubber Tube 12.7mm ID x 16mm OD High quality, food safe silicone tubing for transfer of hot or cold liquid. Tube does not support the growth of bacteria with age, and will not crack or perish. The surfaces are smooth and therefore easy to clean. It will not become brittle and stiff with continued use of cleaning chemicals (even below -70, right up to 170 degrees centigrade). Tube is translucent and does not collapse or become floppy even when very hot. 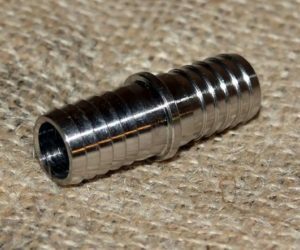 Push fits onto our 1/2″ hose barb easily and stays put without the need for a jubilee clip.Manufactured in the UK. 12mm inside diameter, 16mm outside diameter, thick wall. Sold per meter, if you order 2 or more meters it will be sold as a complete 2 metre run. 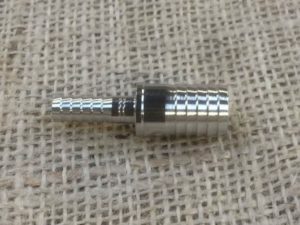 Stainless Joiners and T’s available. 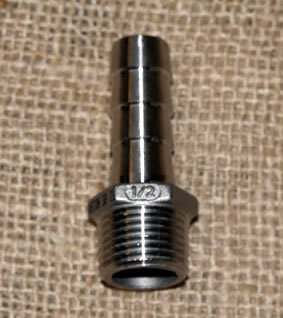 Stainless Steel T fitting for joining silicone tubing. 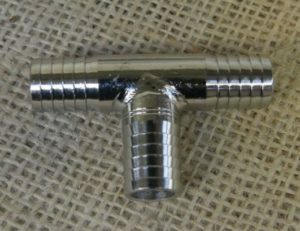 Stainless Steel joiner with 13mm barbs.